Let’s face it: there’s a lot of 3D software out there. It can be tough deciding which program to spend your time learning. Every single 3D program has its pros and cons. And unfortunately, most of the technical knowledge needed to distinguish the difference between programs is beyond a beginner’s grasp. Fortunately many artists(like myself) love to experiment with new software. Plus it’s easy to meet other artists who specialize in different tools. This gives more experienced artists some insight into various 3D animation packages. And for this reason most of the artists I know use multiple programs for their 3D work. Combining techniques from Photoshop, ZBrush, and Maya can yield amazing results. This article offers a comprehensive breakdown of the most popular 3D programs out there. We’ll take a detailed look at each program and compare features to help you decide which fits best for your needs. Maya is the crème de la crème of 3D software. Simply put, it’s the best 3D animation package on the market. This is the program most studios rely on because it just works. If you take any digital animation course at university, it will most likely be using Maya. The reason Maya is so popular is that it’s both powerful and flexible. Maya is capable of a wide range of applications and can be used at nearly every level of the animation pipeline. 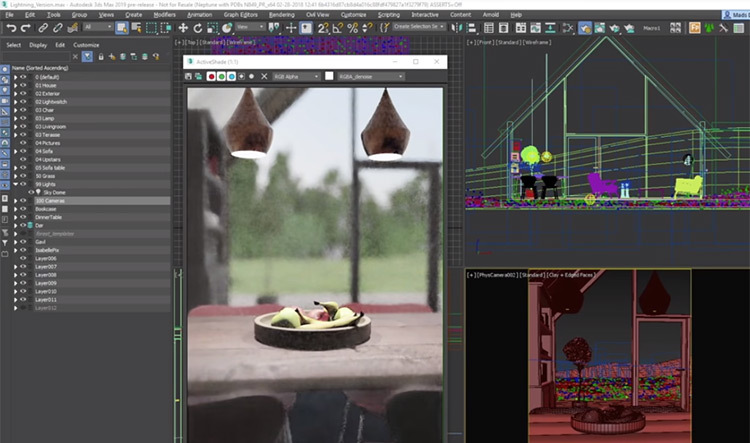 Maya can handle modeling, rigging, animation, lighting, and rendering plus much more. And it does those tasks better than most other 3D animation software. That isn’t to say Maya is the end-all be-all of 3D work. There are some features, like sculpting and texturing, which other programs handle far better. 3ds Max has better 3D modeling tools and most artists today use external packages like Substance Painter for their textures. But for one massive toolset you will rarely find a better program. Maya is also the most expensive program on this list for sure. Because of the price, it will simply be outside the budget of many small studios and independent artists. Students and teachers, however, can get a limited license to Maya using their school email address. The fact is that most professional 3D artists use Maya in some regard. It’s an integral part of the film industry. You’ve seen the work of Maya artists in movies like Harry Potter and the Deathly Hallows: Part 2 and the original Transformers among many other movies. Maya has been used for game development since the mid-nineties when Naughty Dog used it to create the models for Crash Bandicoot. Today you’ll find Maya artists working on best-selling AAA titles like the Halo series. With this program you define your own workspace and your own workflow. 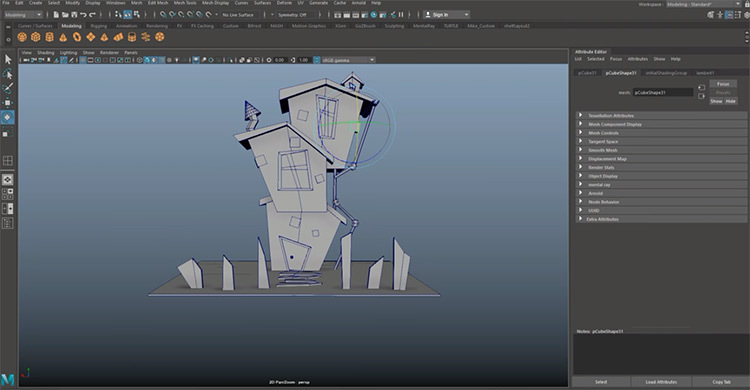 Maya uses a node graph architecture for a procedural workflow where scenes in Maya are node-based, with each node having its own customizable attributes. In this way users can build complex scenes and ¬maintain a non-destructive workflow with ease. Blender is the free and open source solution for 3D software. As an open project Blender was created by hundreds of individual artists and developers from all over the world. And much like Maya, Blender comes with everything you need for 3D animation. It has tools for modeling, sculpting, rigs, VFX, lighting, and much, much more. The Cycles render engine that Blender ships with has very powerful, ultra-realistic renders and real-time previews. Because Blender is open source it’s easy to customize to your needs. Blender uses Python for scripting and there are plenty of add-ons available to extend the program. They can be used to enhance Blender in any number of ways, including extra tools and changing existing features. 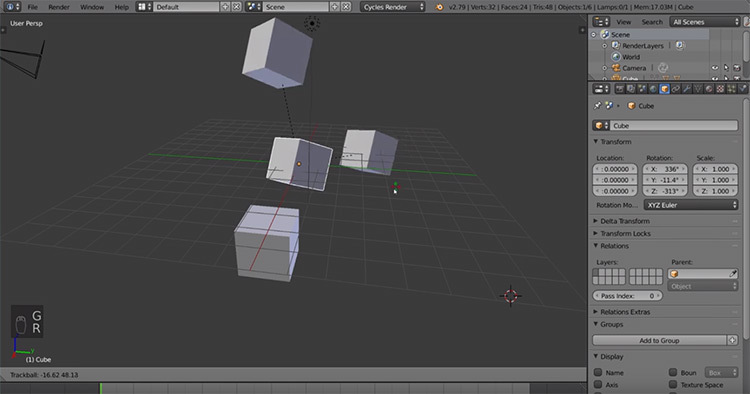 Blender is cross-platform and runs on Windows, Macintosh, and Linux computers. Unfortunately Blender has a reputation of being pretty difficult to learn. While it is true that Blender can be overwhelming to new users, it’s a great solution for artists who have the time to learn it. It’s a highly customizable program with many built-in options for extending functionality. Not only is Blender popular among film studios and game designers, it’s also used by medical researchers, interior designers, and others looking to take advantage of Blender’s many features at a great $0 price tag. Because Blender is open source it lacks a dedicated customer support staff. But what you lose in customer service you gain in a passionate community of 3D artists. Blender has a huge dedicated fanbase of artists and designers who share tips, answer questions, and offer advice across forums all over the web. You’ll find plenty of resources online for learning and troubleshooting Blender which makes it a great starting point for beginners. 3ds Max is a popular tool for creating models and other 3D assets. When it comes to modeling, 3ds Max is unmatched in its flexibility and ease of use. For this reason it’s a popular choice for game artists. Professionals use it every day to create stunning 3D worlds, objects, and characters. If you’re looking for a program that’s focused on asset creation 3ds Max is the one to choose. It lends itself to pulling and pushing vertices and comes with a great set of UV layout tools, plus other features that make the modeling process easier. It is also well known for its user-friendly interface and excellent UI design. Beginners will have an easier time learning 3ds Max than other 3D programs. This means less time between you and your animations, particles systems, or other visual effects. Unfortunately 3ds Max is a Windows-only application meaning those on MacOS or Linux will need to look elsewhere. Choosing a 3D program can be difficult. Having flexible budgeting options can be a big factor in the decision. Autodesk offers a variety of payment options for 3ds Max which is really awesome. Users can pay monthly or annual fees, or they also have the choice of buying the software outright for a one-time purchase. Modo is a flexible 3D creation program designed to empower artists by simplifying the modeling process. Many beginners struggle with technical barriers and the complex workflows found in other 3D programs. Modo makes unleashing your digital creativity easier. This software differs from other 3D applications in that it offers a relatively smaller toolset. Programs like Blender and Maya provide enormous libraries of tools that can be overwhelming to learn. 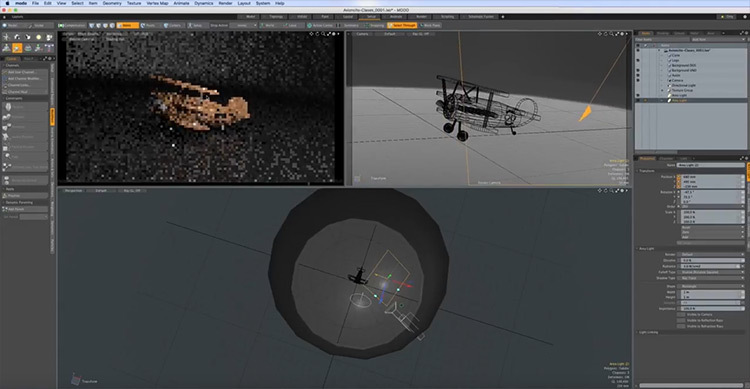 Modo artists typically use less and combine various tools using the Tool Pipe feature. This workflow is both customizable and easy to learn. Modo also lets users paint directly onto their 3D models with a variety of brush types. Artists can easily combine the available brushes to achieve any number of effects. Modo’s standard renderer is a physically based ray-tracer. In the right hands it can yield stunning results. And this renderer is multi-threaded so it will work much faster on machines with multi-core CPUs. ZBrush is the state-of-the-art sculpting tool available today. It single handedly changed the way artists approached the craft of 3D sculpting by making it easier to create high-resolution models with organic shapes. With ZBrush, artists approach sculpting as if they were working with digital clay. Just like with real clay you can push, pull, scratch, dig, and otherwise manipulate the surface of the 3D object on your computer screen. ZBrush comes with a variety of brushes and options for customization during the sculpting phase. This program is popular in the film industry because it was designed for creating high-resolution models. These models can be combined with other tools like Maya or Adobe After Effects to create breathtaking visuals. Objects can be textured with ZBrush too, but it’s more common to use other programs for this. Often artists will import a low poly object from another program and use ZBrush to give it greater detail and finish. ZBrush is a versatile and professional sculpting program used by film and game studios all over the world. At around $900 for a single user license, it can be pricey but it’ll last you decades. You can run ZBrush runs on Windows and Mac and even older versions still work very well. Using your serial number, ZBrush can be installed on two computers per license which is also fantastic. One for the desktop and one for the laptop. If you’re looking to work as a professional digital FX artist then you’re probably going to want to learn ZBrush as soon as possible. Same goes for anyone interested in 3D modeling for video games or animation. It’s the standard for 3D sculpting in the entertainment industry so this is a must-learn program for any 3D sculpting jobs. Sculptris is a lightweight, friendly, and totally free sculpting program developed by Pixologic(the same team behind ZBrush). This free alternative is designed to give absolute beginners an ideal starting point for learning 3D sculpting. Scuptris is an excellent gateway into 3D art and animation for sure. With easy to learn features and an intuitive interface, even those with no experience can quickly make basic objects. Sculptris also offers some detailed features, like Dynamic Tessellation, that other programs don’t have. The program is robust enough that many artists use it to create their base models too. Artists looking to learn ZBrush may want to start with Sculptris instead, and then later move onto ZBrush when they feel more comfortable with the 3D environment. Because Sculptris is free and easy to learn it’s a gentle place to start. Even those with 3D experience may want to try Sculptris just for fun. It’s a great way to brush up on your sculpting techniques and learn new ways to take your art to another level. Also this program can handle geometry dynamically, meaning you can focus on your artwork and let the program handle the surface topology. And Sculptris isn’t just for sclupting if you can believe that. It also comes with a full range of 3D painting tools and extra materials for creating surfaces for your sculpts. Rhino3D is a NURBS based 3D computer graphics program developed by Robert McNeel. Because it uses a mathematical approached to geometry creation, Rhino is popular with product designers, jewelry designers, and animators. The goal behind Rhino3D was to remove as many of the workflow bottlenecks as possible and help artists finish their work faster. Using curves and basic shapes, you can build 2D and 3D objects all from this one program. 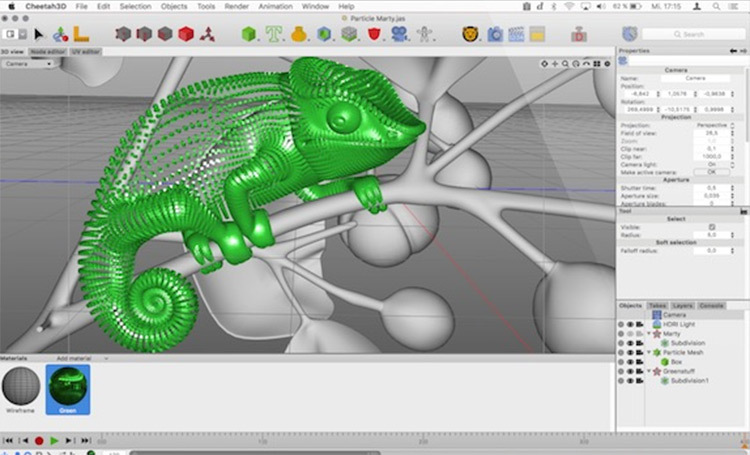 Rhino3D runs on Windows and MacOS and uses its own scripting language: Grasshopper. It uses a modular design which allows the software to be customized and lets the user create unique commands. Rhino has a wide range of application including computer-aided design(CAD), 3D printing, product design, and industrial design as well as multimedia and graphics. There are dozens of plug-ins available that expand these capabilities if you do a quick Google search. Because Rhino is easy to learn you can focus on creating objects rather than dealing with the software. Rhino3D was designed to run fast on even the most basic computers. You can design products and create 3D models on a mid-range laptop without any hiccups. Rhino3D also supports real-time rendering and state of the art lighting. Use Rhino Render to create images and animations of your work. It’s also an excellent choice for 3D printing enthusiasts. Rhino’s toolset makes digital fabrication simple and fast. Really just an all-around great 3D program for anyone outside of the game & movie world. In 2007 Grasshopper was added to Rhinocerous3D. Grasshopper is a visual programming language that lets artists script using drag and drop input. By connecting components in Rhino3D’s scripting panel artists can script behavior without any coding necessary. A radical idea at the time that has since become very popular. For smaller studios the price can be the deciding factor in choosing a platform. Rhino is less expensive than other more powerful programs, but still very capable. The team behind Rhino also offers technical support and training free of charge. Cheetah3D was developed from the ground up for Macintosh as an easy to learn 3D animation package complete with modeling, rendering, and other animation tools. 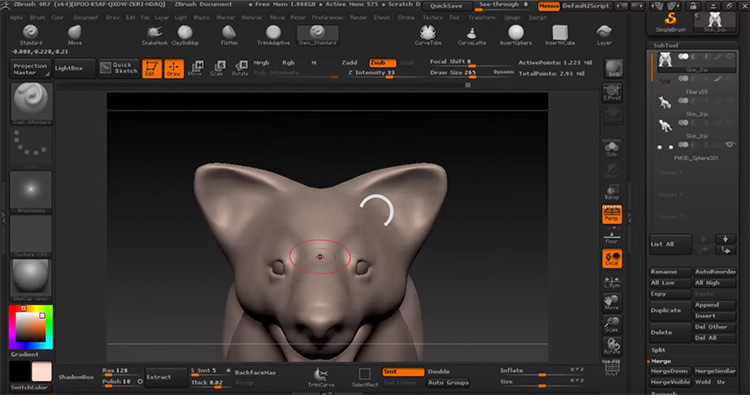 Cheetah3D makes it easy to dive into the world of 3D art using a workflow designed for simplicity. Inside this program you’ll find all the features necessary for 3D modeling including sub-divisional surface tools and spline modeling tools. Because character rigging is seamlessly integrated into Cheetah’s animation system, animating your characters in Cheetah3D is a joy. Create simulated waves or spill a bag of dice using Cheetah3D’s powerful physics engine. When your scene is ready, the built-in renderer can be used to create a stunning image for your clients. Cheetah3D’s easy to learn toolset is perfect for creating assets for an iPhone game or architectural flythrough. Because the program enjoys massive support of a large community of artists, both professional and amateur, you can quickly find help and get feedback online. SketchUp was developed out of Boulder, Colorado as a program to give artists, architects, and designers a set of tools to emulate the feel of working with pen and paper. In this regard it has definitely succeeded. By wrapping these features in an elegant, easy to learn interface, SketchUp’s developers captured a very large audience. Over the years SketchUp has won critical acclaim and a wide userbase. With a clean interface that puts you in control, SketchUp is a popular choice for video game designers, architects, mechanical engineers, landscape architects, and interior designers. The software is lightweight and runs in your browser or on your desktop. This might be the only 3D software that gives you a choice of both! There’s a reason it’s popular and known as a forgiving 3D modeling program: it doesn’t sacrifice usability. What SketchUp lacks in features it makes up for in simplicity and speed. 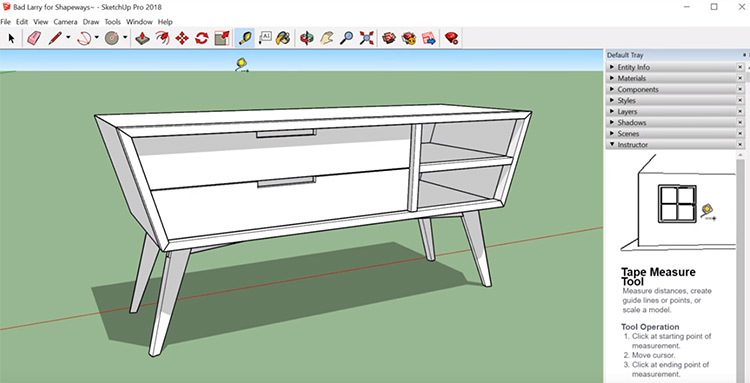 With plenty of tutorials available and an intuitive interface, learning SketchUp is just plain easy. Students can quickly get straight to modeling without having to waste time learning a complicated toolset. While SketchUp lacks the raw power of programs like Maya or the functionality of Blender, it focuses on being great at what it does: providing everyone an easy way to learn 3D. 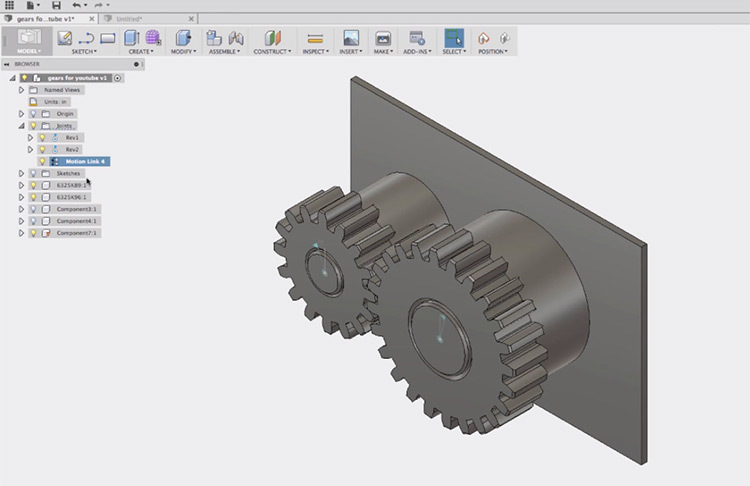 Fusion 360 is marketed as the 3D design software of the future. It’s the first 3D CAD, CAM, and CAE tool of its kind that aims to simplify product development with cloud-based computing. Available on Windows and Mac, Fusion was designed to let creators quickly iterate though their ideas. It provides sculpting and modeling tools with a range of optional plugins available. With Fusion, users can create test simulations and make photorealistic renderings and animations of their concepts. Designed with 3D printing in mind, Fusion is perfect for hobbyists and professionals alike. Because Fusion is cloud-based it makes collaboration with large teams easier. The power of Fusion’s hybrid systems is that it uses the cloud when necessary and uses local resources when it makes the most sense. The software uses a non-destructive approach to modeling, meaning it’s easy to explore design options without losing your original work. For modelers, product designers, and mechanical engineers, Fusion 360 could save you precious time on larger projects. Cinema 4D is another popular digital graphics modeling application. Easy to use and very powerful, Cinema 4D is an excellent choice for both beginners and seasoned professionals. It boasts a wide range of tools for 3D modeling, animation, motion graphics, VFX, and rendering. Cinema 4D is known for reliability and speed. 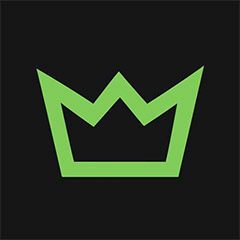 It’s the perfect choice for artists working in a fast-paced 3D production environment. And it’s priced competitively so while it is not cheap, it is affordable if you really need it for your workflow. Cinema 4D is more intuitive than other 3D modeling programs for what it does best(VFX). It lends itself to artists who hate reading manuals or watching technical tutorials. With a large community of dedicated followers there is no shortage of learning resources online. Plus this software ships with a powerful help system. Because Cinema 4D’s documentation is integrated into the interface, questions about specific functions are only a click away. This can be a big help for beginners just coming to the program. 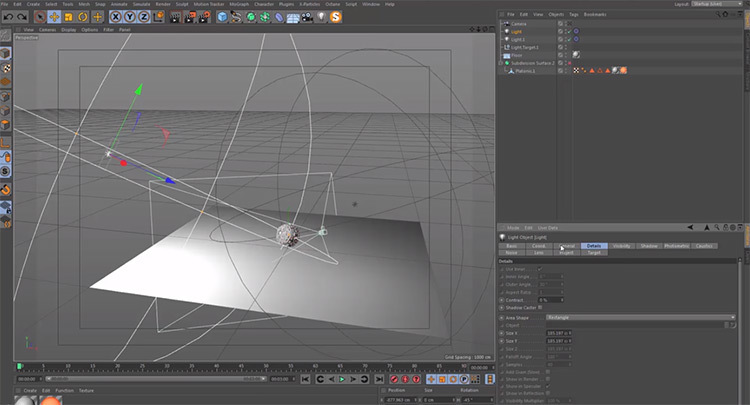 Flexibility is a core element in Cinema 4D’s design. Cinema 4D provides a non-destructive workflow for modeling, including procedural shaders and textures. With the Cinema 4D Take System users can save multiple versions of a scene in a single file. Maxon offers four versions of Cinema 4D and several licensing options. Whether you represent a large studio or just a one-man band, there’s a package to fit your needs. Daz Studio is a 3D graphics program aimed at people who are interested in character design for illustration and animation. 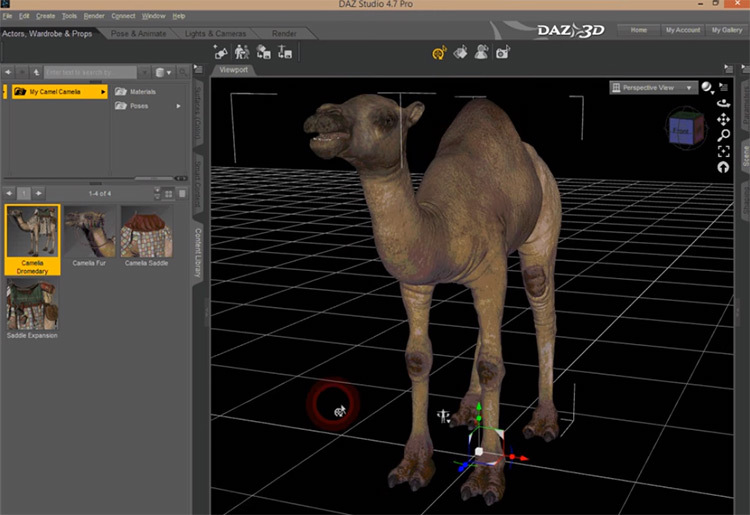 Daz was originally created as an alternative to Poser, a leading software for character manipulation. Daz Studio is actually free and capable of producing professional content much like Poser. The software comes with everything necessary for scene building, rigging, animation, and rendering. It ships with two render engines and a host of tools for creating character meshes. With GPU accelerated real-timer rendering artists can achieve photorealistic results in a flash. Because Daz Studio is free, artists can become proficient at 3D graphics without having to pay for software. Although unlike Blender, Daz comes with interactive tutorials to help users familiarize themselves with the program. Daz easily transfers to other 3D programs too and includes a variety of export and import options. This makes it easy to transfer character models from Daz and incorporate them into large scenes in programs like Maya or Blender. This is especially true of Maya since it’s such a crucial aspect of typical 3D workflows. Daz makes it easy to share characters with Maya using Auto-HumanIK controls. The software can also convert to the Arnold and V-Ray engines. To download a copy of this program you just register on the site and grab the newest version(totally free). The program comes with everything needed for 3D work but there’s also a variety of plugins and add-ons available for purchase. Generally speaking it’s hard to recommend one specific program for all 3D work. Many artists typically switch between programs and over time you’ll probably develop your own workflow too. But as a general recommendation for aspiring modelers & animators you cannot go wrong with Maya, Blender, or ZBrush.